TAKE THE STEVIVA HOLIDAY KETO BLOGGER RECIPE CHALLENGE AND SEE IF YOU HAVE ALL THE RIGHT INGREDIENTS TO BE NAMED THE GRAND PRIZE WINNER! Steviva is looking for spectacular bloggers, not professional chefs or bartenders to compete in their Steviva Holiday Keto Blogger Recipe Challenge. The challenge date has been set, the pans will be banging and the shakers will be shaking and the stakes will be high to see who becomes the Grand Prize Winner of the Steviva Holiday Keto Blogger Recipe Challenge. Take the challenge and share your culinary and mixology skills using Steviva’s sweeteners to create recipes that have no rules only the pursuit of sweet taste! 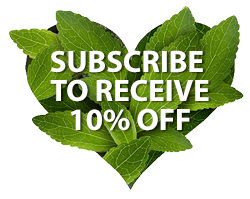 All qualified participants will receive three free Steviva products that include KetoseSweet + Liquid, KetoseSweet + Powder, and Steviva Blend to create their recipes with. The Steviva Holiday Keto Blogger Recipe Challenge will only be open to the first 100 eligible bloggers who sign-up. Categories for the challenge include beverages (alcohol and non-alcohol), entrees (no side dishes), and desserts. Bloggers are encouraged to participate in all three categories. One winner we be selected from each category and be awarded $500.00 .The winning recipes from each category will then compete to see who will become the $1,000.00 grand prize winner of the Steviva Summer Holiday Blogger Recipe Challenge. The challenge starts on October 1, 2018 and ends December 31, 2018. NO PURCHASE NECESSARY. What’s the challenge and what do I win? Does this recipe taste great with every bite or sip? Would you want to make this recipe over and over again based on taste alone? Does it contain interesting, yet gratifying flavor combinations? Does the recipe show well on a plate or in a glass? Do your eyes make you want to eat this or drink this recipe before you even smell or taste it? Does your recipe show originality? Is this recipe reflective of unique twists to ingredient usage? Have you incorporated your personal touch to this recipe? 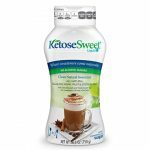 Liquid, KetoseSweet + Powder, and Steviva Blend to create their recipes with. We’re looking for downright spectacular “BLOGGERS,” not professional chefs or bartenders who maintain a food or beverage blog. Only the first 100 qualified applicants will be accepted. 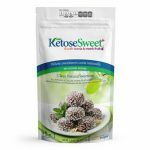 KetoseSweet + Powder and Steviva Blend to create their original recipe with. Your original recipe must be from the category you entered. We are looking for creations that are easy to recreate, great for families, delicious, and of course, original and inventive. Only recipes using Steviva’s KetoseSweet + Liquid, KetoseSweet + Powder, and Steviva Blend products will be considered. Final recipes along with a picture of the Steviva product used must be publicly posted on your blog, Facebook, Twitter, Pinterest and Instagram to qualify. Steviva’s social media links must be included when posting your recipes on your blog to qualify. All bloggers must tag Steviva on all of their social media platforms. Bloggers must use the hashtags #steviva, #sweetandeasy when posting on each of your social media platforms. When compiling the list of ingredients for your recipes, it must state, the name of the Steviva product used when creating your recipe. Please email your original recipe to contest@steviva.com, including a photo (jpeg) of your finished recipes, along with links to your published recipes by the contest deadline. Applicants are responsible for complying with all rules of Facebook, Twitter, Pinterest and Instagram. We highly encourage you to share your recipes on any and all forms of social media including, but not limited to: Foodgawker, Yummly, Tastespotting, Tumblr, YouTube, Google+, etc. Please send links to sites where you have shared your recipes to contest@steviva.com. I have read and agree with all the rules of the Steviva Sweeten It-Up Blogger Recipe Challenge.